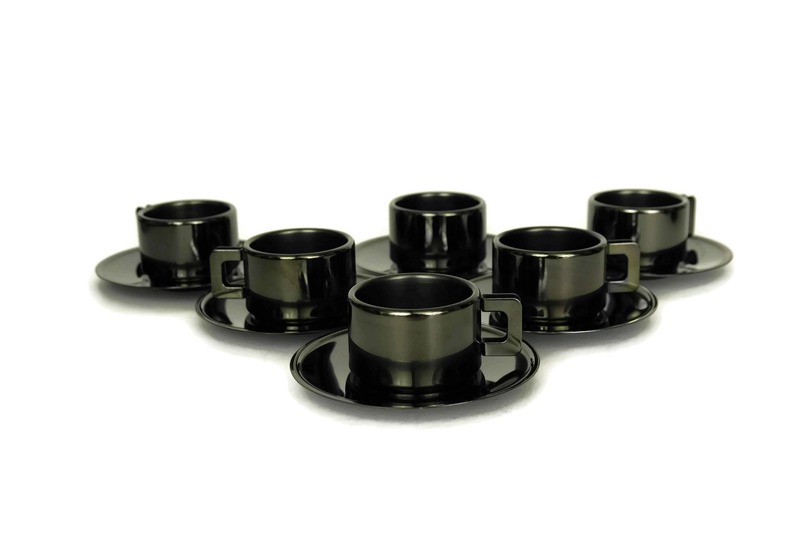 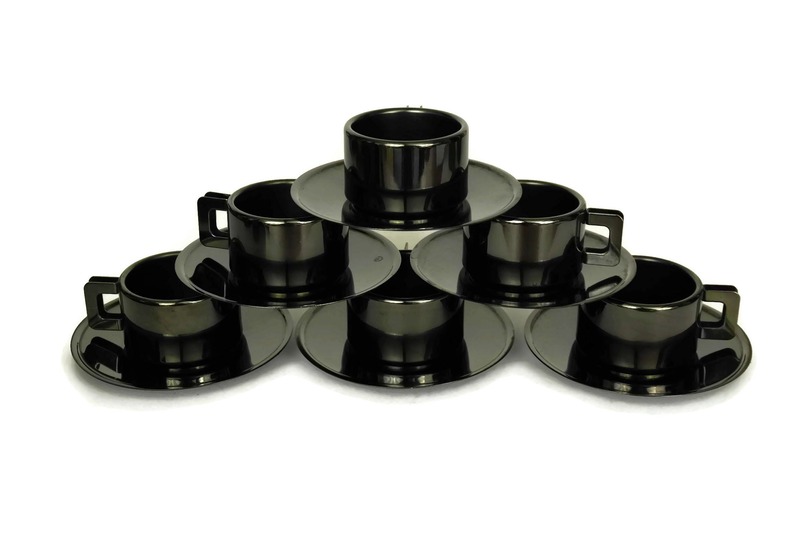 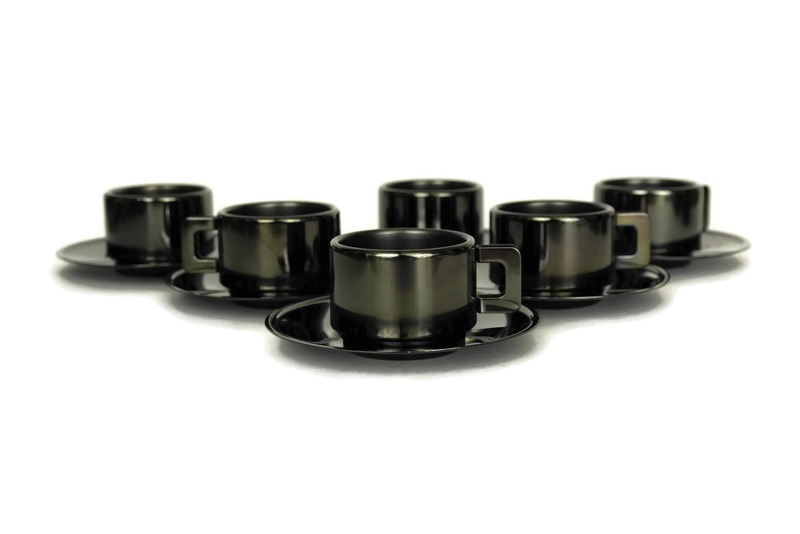 A stylish set of 6 Casalinghi espresso cups and saucers made of inox. 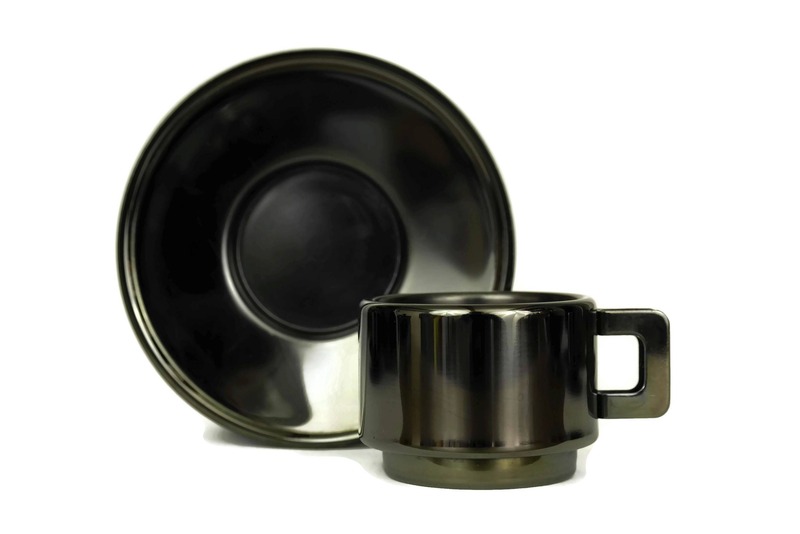 The set features an elegant stream lined design from the end of the 20th century. 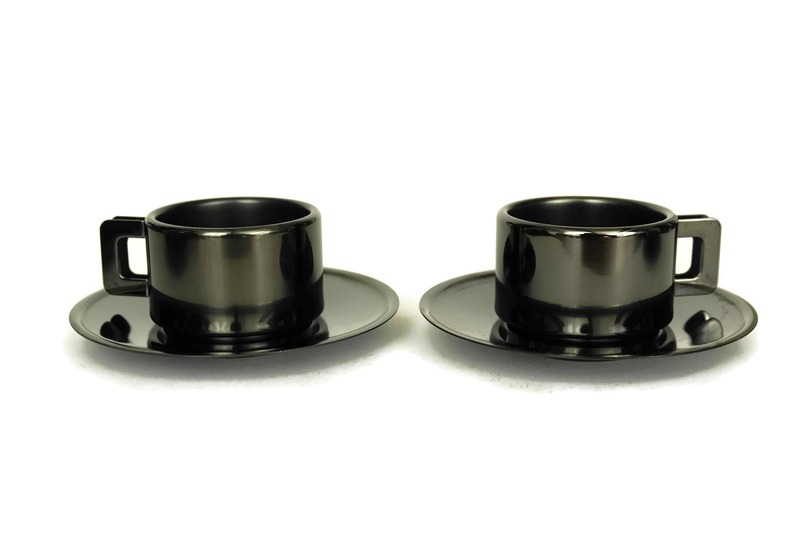 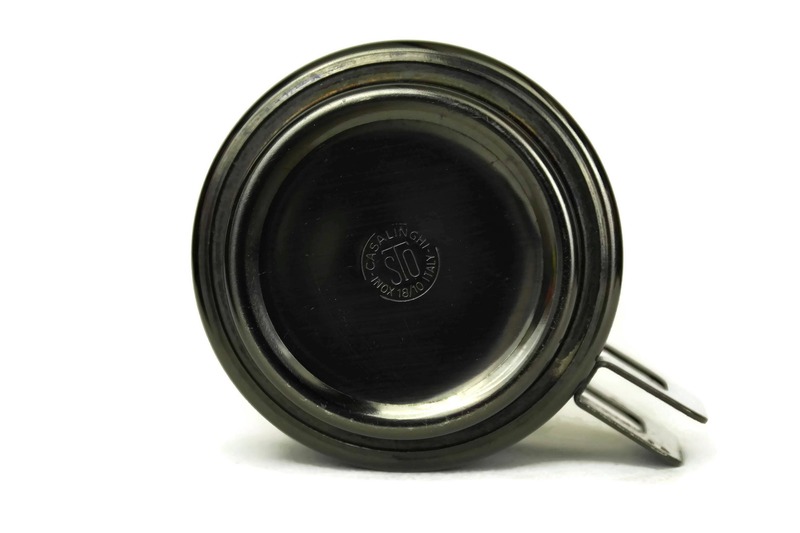 The minimalist cups and saucers have been created from stainless steel with a striking dark oxidized finish. 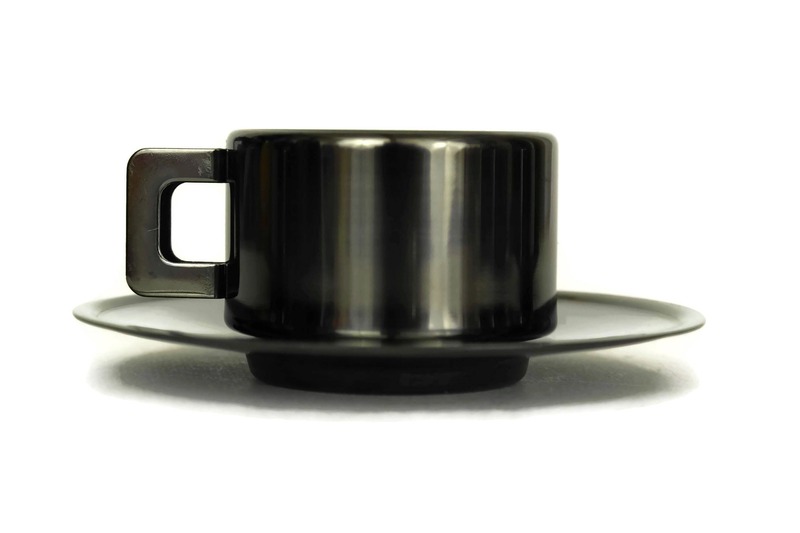 Each Moka coffee cup and saucer has been stamped on the underside with the manufacturer's mark "Casalinghi STO Inox Italy". 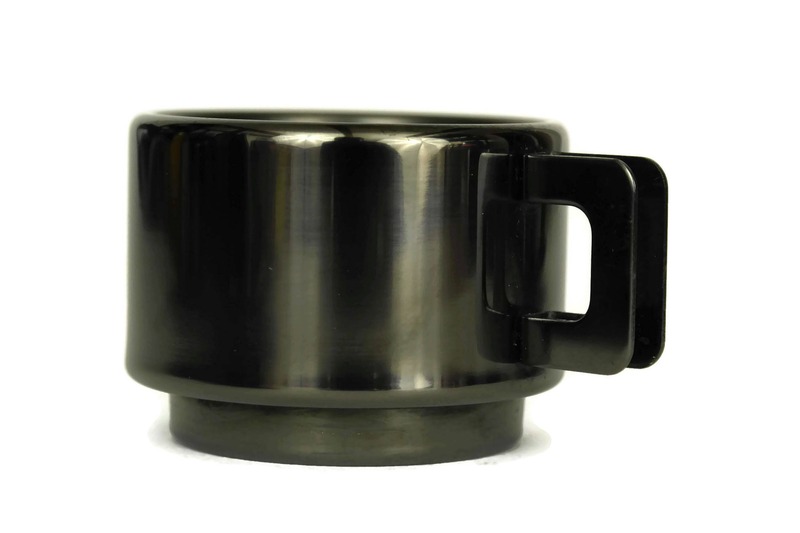 Cup (Rim Diameter): 2 1/2" (6 cm). 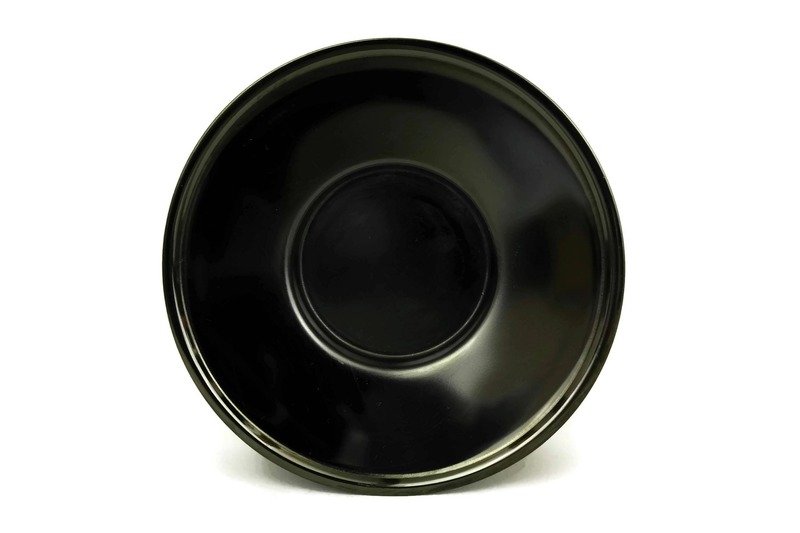 Saucer (Diameter): 4 5/8" (11,5 cm). 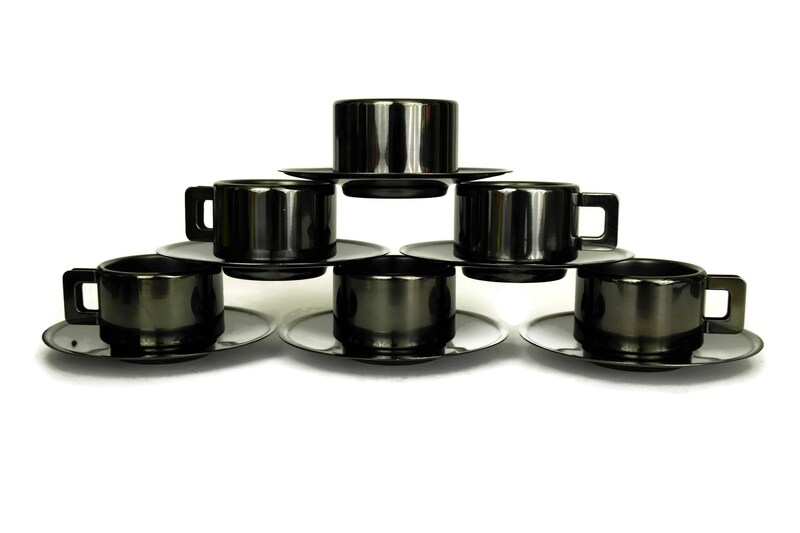 The Italian set is in very good condition with light surface marks and scratches.